This seminal exhibition created by Beit Hatfutsot in collaboration with the Mossad and produced in partnership with Cleveland’s Maltz Museum of Jewish Heritage, continues to tour the United States for the third year. After a successful run at the Museum of Jewish Heritage in New York, the exhibition traveled to the Florida Holocaust Museum in St. Petersburg, FL and is currently on view at the Holocaust Documentation and Education Center in Dania Beach, Florida. It will then travel to Houston, Texas and New Orleans, Louisiana. Thanks to an ongoing generous grant from the Covenant Foundation, Beit Hatfutsot of America launched Curating Your Family Story, a new iteration of My Family Story, Beit Hatfutsot’s flagship experiential educational program, to select museums, JCCs and innovative Jewish learning centers. The programs bring together families from different parts of the Jewish community, including the unaffiliated. The program continues to expand in the United States. The pilot for the program was initiated in Atlanta GA at The William Breman Museum of Jewish Heritage creating the model for other entities. Students from Congregation Shearith Israel and The Breman explored their family individual stories as well as curated a group project, collecting family recipes culminating in a cookbook. Their individual and collective art projects, were exhibited at the Breman Museum. Julie Zeff, community engagement coordinator at the Breman Museum said “The year-long curriculum teaches interviewing skills, the importance of artifacts and how to be an anthropologist for a day.” During the final stages of completing their projects, students receive help from local curators and artists. The project fosters an understanding and connection to one’s Jewish heritage and connects young people with their legacy. The Stroum JCC implemented the program in the summer of 2018, utilizing two approaches: On a weekly basis over a period of time and as an intensive week-during summer camp. The students created artistic family trees and maps that helped chart the journey that each family took to Seattle. Beit Hatfutsot takes pride in adding Jewish Lens to its offerings and making it an integral part of the Koret International School for Jewish Peoplehood. With a generous grant from the Covenant Foundation this important educational program, including a creative curriculum, will be available throughout the United States, Canada and Mexico. The goal of the partnership is to document, share and disseminate the personal stories, traditions and customs of Jews from these ancient Middle Eastern and North African Jewish communities. Through the partnership Beit Hatfutsot and JIMENA are preserving the heritage of these Jewish communities in perpetuity, for generations to come. Synagogues 360.org is an internationally recognized leading resource for documentation of Jewish synagogues worldwide. This project is the result of over a decade of the dedicated work of architect Louis Davidson and his team. The spectacular photographs document the rich diversity of hundreds of outstanding synagogues in places as varied as India, Norway, Malta, Taiwan, Romania, and the United States to name but a few. The project’s importance derives from its geographical and institutional diversity, as well as an educated selection of synagogues that led to a successful mixture of architectural jewels with buildings boasting centuries of uninterrupted spiritual history while covering the entire array of Jewish religious denominations, from traditional Orthodox to contemporary Reform congregations. This choice of photos and their disclosure on the website represents a major contribution to the preservation of Jewish heritage. Food, as an integral part of identity and the social fabric of the Jewish people, will be part of the Culture and Identity Wing of the new core exhibition of Beit Hatfutsot. The interactive display will enable the creation of a comprehensive database of Jewish cuisine. 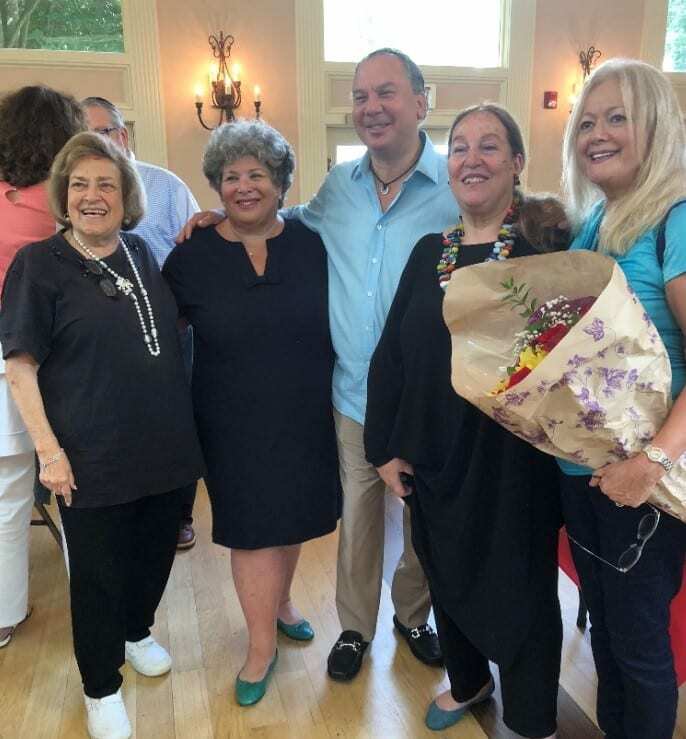 Schmaltzy, an ongoing program of the Jewish Food Society, presented with the encouragement of Beit Hatfutsot of America, a delicious evening of live storytelling by a diverse group of authors and chefs. Gil Hovav, the great-grandson of Eliezer Ben Yehuda; PJ Library author Tamy Shemtov; and celebrity baker Uri Scheft, of Lehamim-Breads were featured in the program that was sponsored by The Paul E. Singer Foundation and the Harold Grinspoon Foundation at the annual conference of the Jewish Funders Network. The Book Launch of The Fox Hunt by Mohammed Al Samawi. The story of Mohammed Al Samawi would have ended differently if not for the commitment of prominent Jewish leaders, including Daniel Pincus, President of the American Friends of Beit Hatfutsot, and numerous organizations who saved him. The story of Mohammed’s rescue underscores how the lessons of Shoah continue to shape Jewish identify and activism. Beit Hatfutsot of America co-sponsored this program with the American Sephardi Federation, Center for Jewish History, The Muslim Jewish Advisory Council and the Muslim American Leadership Alliance. The program was inspired by the literary legacy of Leon H. Charney z’l, a businessman, lawyer, media personality, activist, cantor and author, focused on his book The Battle of the Two Talmuds: Judaism’s Struggle with Power, Glory and Guilt. The program was sponsored with the Center for Jewish History. It was introduced by Shulamith Bahat, CEO of Beit Hatfutsot of America, who questioned the current relevancy of the term Diaspora. Prof. Nathaniel Laor, Professor of Philosophy, Psychiatry and Medical Education of Tel Aviv University preceded the panel with a moving tribute to the legacy of Leon H. Charney. A distinguished panel moderated by Prof. David Myers, former President and CEO of the Center for Jewish History; Dr. Aaron J. Koller, of Yeshiva University; Dr. Marjorie Lehman, of the Jewish Theological Seminary; Prof. Shaul Magid, Professor of Religious Studies at Indiana University and Alana Newhouse, Editor and Founder of Tablet Magazine, participated in a lively conversation on the historical connections between Israel and world Jewry, through the relations today and into the future. The evening concluded with a musical performance “Breath and Hammer” by David Krakauer on clarinet and Kathleen Tagg on piano. A conversation with Ambassador Alfred H. Moses, Co-Chair of Beit Hatfutsot’s International Board of Governors and Shulamith Bahat, CEO of Beit Hatfutsot of America. Guests gathered at a breakfast forum to learn about the renewed Beit Hatfutsot, the hub of Jewish Peoplehood and a global content provider on the path to re-envisioning the relations between Israel and Jewish communities worldwide. Ambassador Moses underscored that celebrating Jewish life is the main aim of Beit Hatfutsot. Bucharest Diary: Romania’s Journey from Darkness to Light, is a fascinating book by Alfred H. Moses, former US Ambassador to Romania and Co-chair of Beit Hatfutsot Board of Governors. Alfred Moses, who worked diligently for the release of Jews from communist Romania during the Carter Administration, was appointed Ambassador to Romania by President Clinton. Beit Hatfutsot celebrated the publishing of the book by the Brookings Institute, along with the Institute for National Security Studies (INSS). 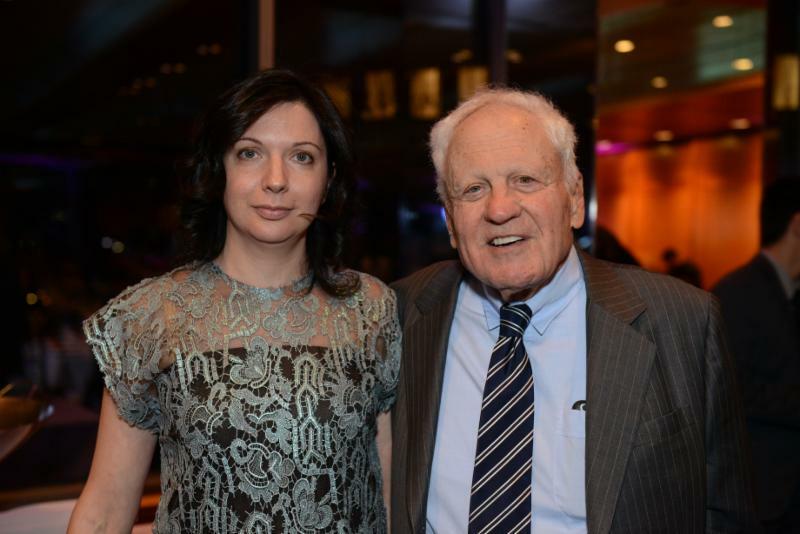 Ambassador Moses was interviewed by Itamar Rabinovich, former Israel’s Ambassador to the US. The book offers Ambassador Moses’ personal perspectives and analysis on Romania’s transition from Communism to democracy, the resilience of the Jewish community both in Romania and in other part of the Communist world, the weight American Jewry assigns to the value of “Kol Israel Arevim Zeh L’Zeh,” the impact of a Jewish diplomat and leader on the fate of a Jewish community and international affairs. The program was interesting, profound and entertaining. On Monday, May 20, 2019 the book will be featured in a program at the Center of Jewish History which will be sponsored by Beit Hatfutsot of America and the American Historical Society and will feature Senator Joseph I. Lieberman who will interview Ambassador Moses. Beit Hatfutsot’s film Operation Moses: 30 Years After, which is based on the Museum’s seminal exhibition by that name, featuring Israeli Ethiopians and their diverse stories was screened at American Jewish University at the inauguration of the partnership between Beit Hatfutsot and AJU. Oshra Friedman, Deputy Director General of the Authority for the Advancement of the Status of Women, who made Aliyah to Israel with her entire family, was interviewed by Dr. Jeffrey Herbst, President of AJU and highlighted the universal resonance of the story of the Aliya of Ethiopian Jews to and integration in Israel. The top officials of the Authority were also in attendance. Beit Hatfutsot of America is the programmatic and institution-building arm of Beit Hatfutsot in North America. It is the conveyor of the vision and mission of Beit Hatfutsot, the transmitter of the content produced by Beit Hatfutsot, the vessel to bring to North America Beit Hatfutsot’s program offerings and exhibits; establishing strategic relations with compatible institutions and organizations such as museums, JCCs, synagogues, federations, Jewish learning centers, Israeli representatives, etc. American Friends of Beit Hatfutsot (AFBH), a not-for-profit 501(c)3 organization representing the interests Beit Hatfutsot, as a resource development vehicle. It provides support to the ongoing and prospective programs and exhibits of Beit Hatfutsot. Operation Finale: The Capture and Trial of Adolf Eichmann is a seminal and landmark exhibition originated and created by Beit Hatfutsot’s team, led by Chief Curator, Dr. Orit Shaham Gover, and Avner Avraham, Mossad Exhibition Curator. It was produced by Patrick Gallagher and Associates and Cleveland’s Maltz Museum of Jewish Heritage, the venue of its US premier. 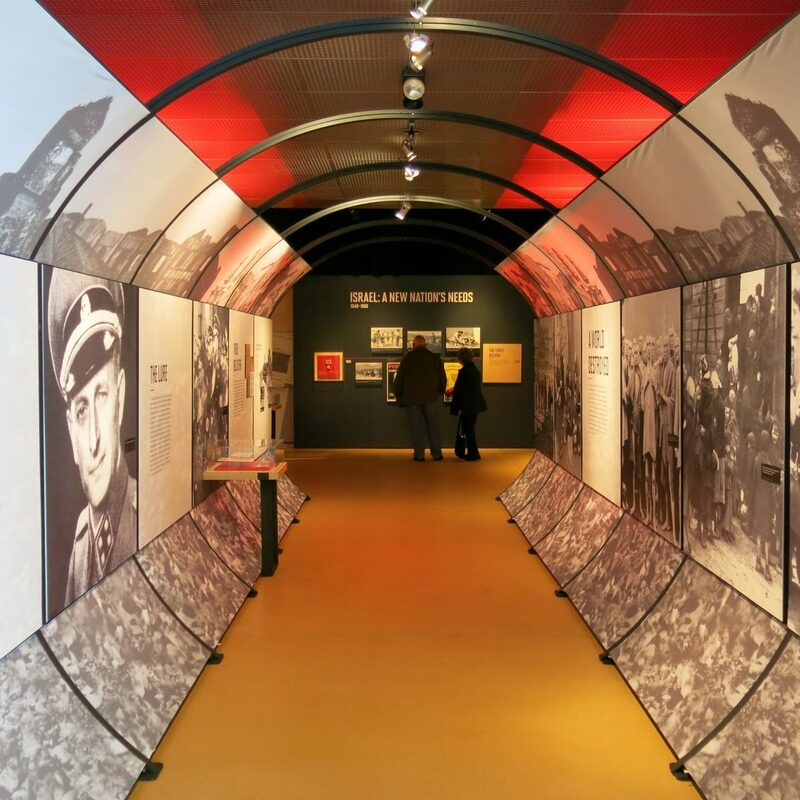 The exhibit tells the important and authoritative story of the capture (“Operation Finale” is the code name the Mossad gave it) and the trial of Adolf Eichmann. In cooperation with Beit Hatfutsot, the Mossad has lifted its veil of secrecy in order to educate the public at large about the Shoah, the most tragic chapter of the 20th Century. The exhibition salutes the organizations and individuals in Israel and abroad who acted at great risk, it thanks them, their families and those whose identities must remain a secret. The evidence exhibited represents material gathered during the unprecedented “Operation Finale” and the trial, which was heralded as a transformative and foundational event in the history of the State of Israel and the world. It opened up the discourse on the Holocaust as the heroic deeds of witnesses in the trial allowed others to raise their voices so that a world who might have been doubtful of the incomprehensible evil, would hear the truth. The exhibition depicts captivatingly the trial of Eichmann, the gripping legal drama, led by Israel’s Attorney General and Prosecutor, Gideon Hausner. It was a pivotal milestone in Israel’s history and in the world’s delayed awakening to the magnitude of the Holocaust. A preview of the important exhibition, “Operation Moses: 30 Years After” which opened at Beit Hatfutsot in May, 2016, presents the story of the absorption of Ethiopian individuals and families in Israel, from Operation Moses to the present was part of a road show aimed at bringing visibility to Beit Hatfutsot and the challenges of the integration of Israelis as well as the accomplishments. The road show was held in New York, Miami, Palm Beach, San Diego and California at the homes of prominent leaders in each community. The exhibition provides the stage of relating the stories of ten families documented in Beit Hatfutsot’s photos. It examines their lives from the time they were photographed until the present, using texts and short videos; referring to their struggles with displacement, emigration and absorption, and their reception by Israeli society. On September 27, 2016 Beit Hatfutsot celebrated its 38th Anniversary and paid tribute to the life and legacy of Leon H. Charney and honored Tzili Charney at a memorable event in New York City. The event was mesmerizing and buzzed with excitement as hundreds of guests filled the Park Avenue landmark building where young and seasoned leaders engaged in conversation and as speakers revealed plans for the next phase of the renewal t Beit Hatfutsot. We were proud to be able to pay tribute to Leon Charney and honor Tzili Charney whose passion for Jewish history and culture and their love of the Jewish people led them to establish the Leon H. Charney Center at Beit Hatfutsot. This new digital center will encompass Leon’s entire Jewish intellectual, journalistic and musical legacy. This enormous treasure will be added to Beit Hatfutsot’s vast on line databased and be available, free of charge, to visitors of all backgrounds at the venue and online. In addition, Leon Charney will be recognized by Beit Hatfustot as one of its Lamed Vavnicks, the 36 visionaries and committed contributors driven by passion to sustain and elevate the world they encounter. Nati and Mickey Charney accepted the award on behalf of their late father and spoke movingly about their parents. Nati stated: “The sentiment behind this night is incredible.” Mickey stressed: “It is not important how much you earned and what you achieved, what is important is how you helped other people.” Wolf Blitzer read the inscription on the award: “In tribute to the life and legacy of Leon Charney for his outstanding commitment to peace and justice and to the vitality and continuity of the Jewish People in Israel and worldwide.” Daniel Pincus, AFBH’s President, highlighted the presence of many young people to whom Jewish Peoplehood is empowering. It is a comprehensive framework, transcends geography, enables the exploration of manifold dimension of Jewish identity, connects the personal and the communal and serves as a vehicle to relate to the world at large. Outstanding Jewish community leaders attended the event, including distinguished guests such as Ingeborg and Ira Rennert, Ambassador Dani Dayan, Sofia and Mike Segal, Ruth and Sandor Frankel, Jerome Chazen, Malcolm Hoenlein, Alisa Doctoroff, Rabbi Dr. Elie Abadie, Nina Weiner, Wolf and Lynn Blitzer, Stephen and Sandra Greenberg, Richard Stone, Eric Goldstein, Deborah Halberstam, Bryna Wasserman, Eitan Wertheimer, Claudio and Penny Pincus, Sidney Banon, Wunan Xiao, who headed a delegation from China, and many more. The David Krakauer Acoustic Klezmer Quartet opened the event and a highlight of the evening was the screening of an original video commissioned by Beit Hatfutsot which depicts stirring renditions of the Untaneh Tokef prayer currently on display in the Alfred H. Moses and Family Synagogue Hall in the New Wing of the Museum. “The diversity of the Jewish people is beautifully depicted in the sixth century Untaneh Tokef prayer,” Senator Lieberman enthused, “which is so fitting to screen as we approach the High Holidays. The evening was a testament to Beit Hatfutsot’s vision of celebrating Jewish life in variety of unique and transforming approaches that inspire people to associate and identify, passionately, with the Jewish people and Israel. It has a universal significance, as it tells how a people can live among other peoples, cultivate distinctive culture and value system, contribute to the society at large, deal with multiple identities and thrive notwithstanding trials, tribulations and major challenges.